For a long time we've had many customers and users request the ability to connect Logstash with S3 compatible services like Ceph. We have now added this capability to all plugins that rely on the logstash-mixin-aws, the plugin that provides common configuration and library access to Amazon's AWS Ruby SDK. We have also added support for the AssumeRole API and looser validation of the "region" parameter. We finally found the root cause of a class of PQ serialization bugs. When a plugin would perform a substring operation on a Ruby string, the Ruby string class may actually return a slice of the string instead of a new object. Since we reach into Java object that backs the Ruby object, we needed to take special consideration there. We opened a PR, which has been merged into master/6.x, that fixes this issue. We’re glad to say we’ve optimized the compilation of the Java execution engine a bit and also cleaned up some code. 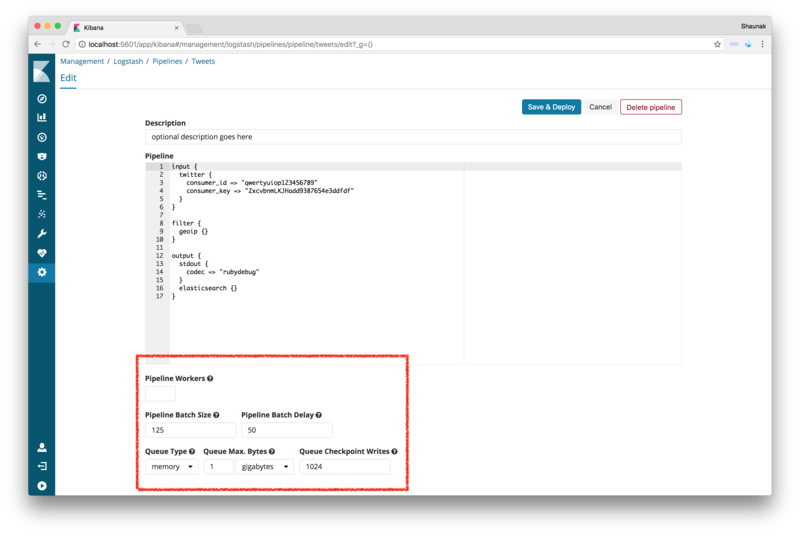 Starting with 6.3.0 users will be able to specify pipeline settings when creating or updating their centrally-managed pipelines. In addition, Logstash Centralized Configuration Management is getting a public API soon! This API will be hosted in Kibana.